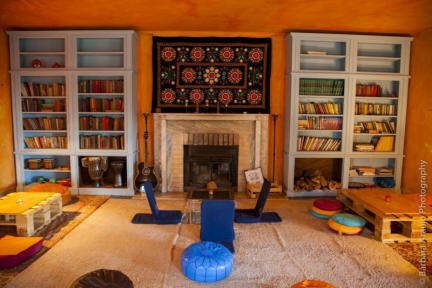 Almaa Sintra Hostel v Sintra, Portugalsko: Zarezervujte nyní! 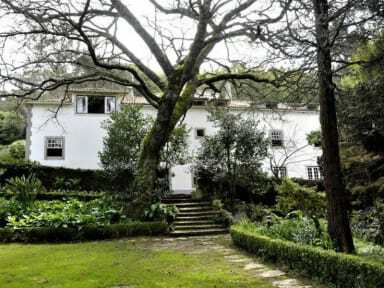 Our house is sited in a property considered one of the oldest in Sintra, dating back to the 12th century. Our rooms range from 2 bed privates to 3 to 8 (made out of recycled pallets) bed dorms in a heavenly environment. Sintra is located near the westernmost point of continental Europe, northwest of Lisbon at 600 meters above sea level. Sintra is greatly admired, since it is a freak of nature in that it possesses a climate and vegetation not common in Southern Europe. Rich in history and tradition, Sintra with its romantic atmosphere has been lauded by many writers, painters and artists who have spread the fame of this Glorious Eden to every corner of the world. We are located 10 minutes walking from town center and 40 minutes by train from Lisbon Almaa Sintra Hostel is the perfect place to be.